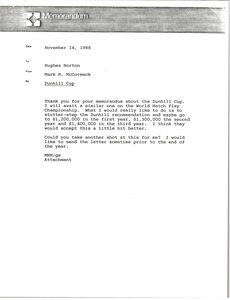 McCormack discusses costs involved with the Dunhill Cup, such as the erection of towers. 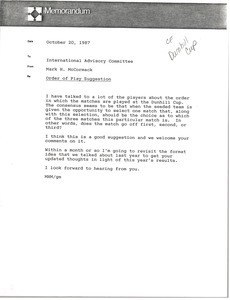 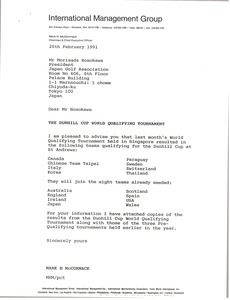 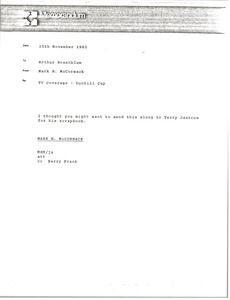 McCormack spoke with many players about the order in which the matches are played at the Dunhill Cup. Discussing and planning for the Dunhill Cup. 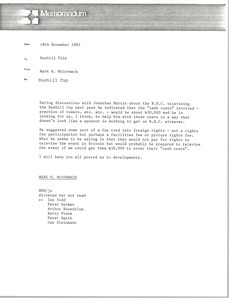 Includes a list of 1989 PGA prize money. 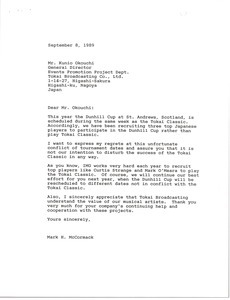 McCormack notes that the Dunhill Cup is scheduled during the Tokai Classic, and that they have been recruiting three top Japanese players to participate in the Dunhill Cup rather than play Tokai Classic. 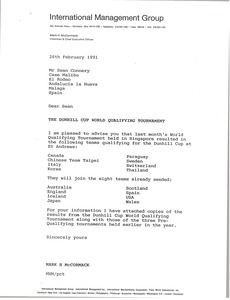 McCormack offers his regrets at this unfortunate conflict..
McCormack confirms the European teams who have been selected utilizing the Sony Ranking and European Dour Money List. 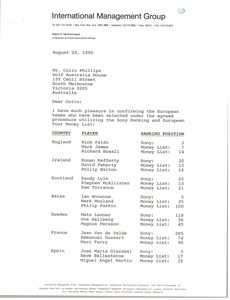 Includes a list of who is on the Dunhill Cup International Advisory Committee. 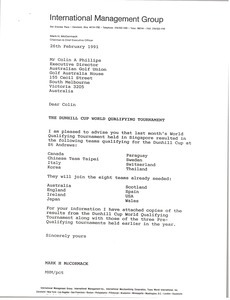 Announcing the teams that qualified for the Dunhill Cup at St. Andrews.